Your home office is a blank canvas. Unlike a regular office in a building, you’re not limited to how how you want to organise and decorate it. You can set up your desk just how you want it and spread yourself. What most people find to be the downfall of their home office is organisation. A productive home office is organised, clutter-free and a place of business. There’s a clear distinction between the office space and personal space. Of course, that’s easier said than done. 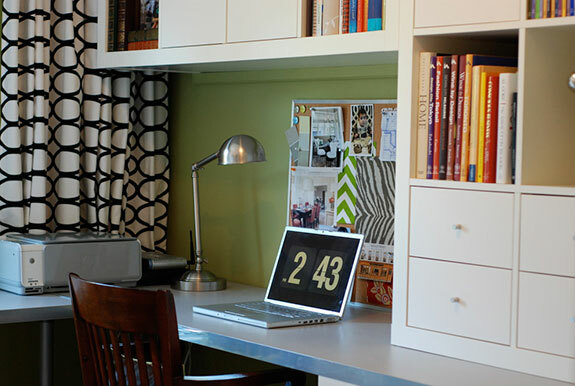 Read these four tips and learn how to organise your home office for more productivity. . If you were decorating a desk at an office, you would probably bring in one or two pictures of your family or a paperweight or other object that would remind you of home. In a home office, however, you’re already technically home. If you really want to see a picture of your spouse, children or even pet, you can just walk out to the living room. Personal tablets and other mobile devices also have a sneaky way of winding up in your home office. Sometimes you need to transfer documents from one to the other, but in most cases, you end up playing games on them and browsing the internet. 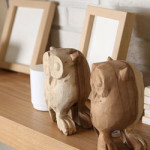 These items can be very distracting to your home office where you need your concentration more than anything, so before you bring photo frames to clutter up your desk, don’t. Leave them in other parts of the house. You can always take a break and go visit with your family during the day. 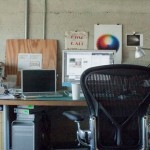 The lighting in your office can affect how productive you are in it. If you do not have enough, you’ll be squinting and feeling like you could take a nap in the middle of the day. If it’s too bright, you could hurt your eyes. If you don’t have a lot of natural light, choose a good lamp for the desk and install accent lights above. A desk lamp will add extra light on sunny days when there is enough natural light, and the accent lights will pick up the slack when it’s cloudy outside. Having the accent lights will also save room as you won’t have a big, clunky lamp sitting in your space. In a perfect world, your desk would never be cluttered. Every book, file, and pen would have a place. Of course, that isn’t always the case, but it could be if you make the effort to keep yourself organised, then you won’t have too many problems. The first step is to organise desk essentials. Have a cup for pens and pencils. If you have items like staplers and tape dispensers, put them away in the desk. You won’t use these items every day so they shouldn’t sit out. Reference books and other workbooks in your office will come in handy while you’re writing a report, but when you’re not, they can be distracting. Add a bookcase to your home office so books won’t file up on your desk. If you don’t have room for a big bookcase, install a few shelves above your desk to hold most of your books. Before stacking them, go through and weed out any that you no longer use. Donate or give them away to reduce clutter. 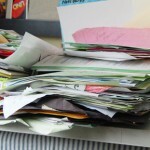 Papers create some of the most clutter in a home office. Even in our mostly paperless world, we still find a way for papers and documents to build up, and if you don’t have a place to put them, they take up space on your desk. 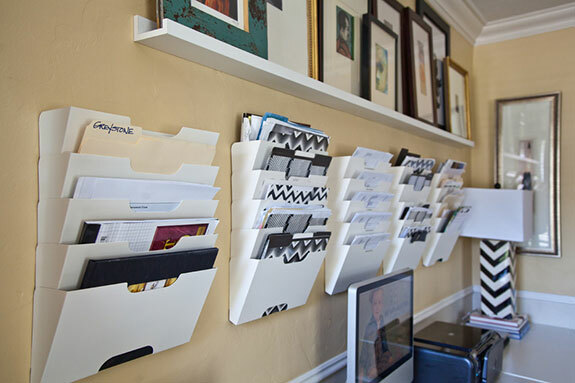 To counter this, create your own filing system within your office so that all your most important documents have a place. Whether you use a filing cabinet or organise folders, make it a part of your daily routine. Set up In and Out trays and make sure they’re emptied by the end of the day. 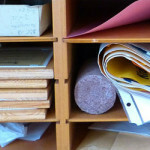 Your In documents should be sorted, and your Out documents should be in the mail. When it comes to filing your finances, make it as easy as possible. Remember, these documents will probably be used when it’s time to do your taxes. The easier you make it for yourself, the better time you’ll have filing your taxes. Organise your receipts by year and month, and keep a running spreadsheet on your computer of all your expenses and income. Ready to organise your home office? Try out these tips and get productive.